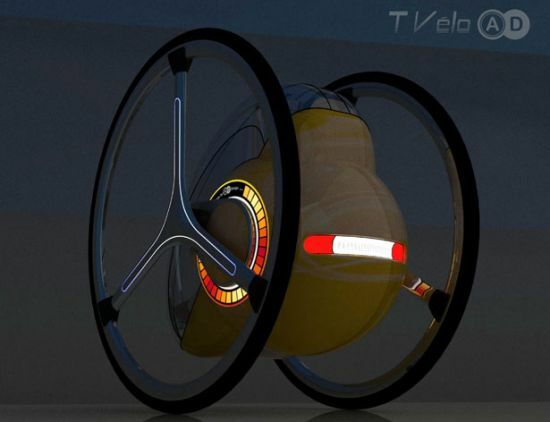 Drawing inspiration from cycling industry, designer Adolfo Esquivel has come up with a utility vehicle that is designed keeping both recreational and commuter transportation in mind. 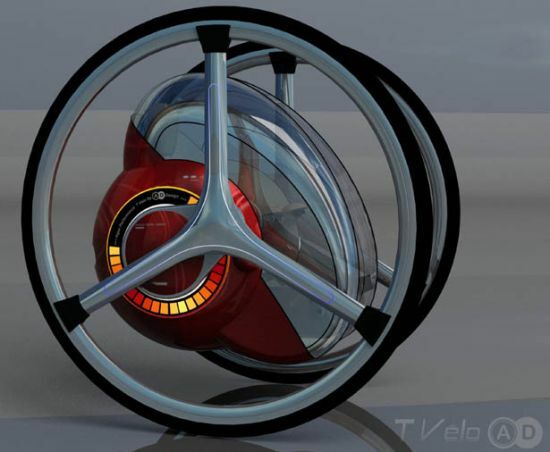 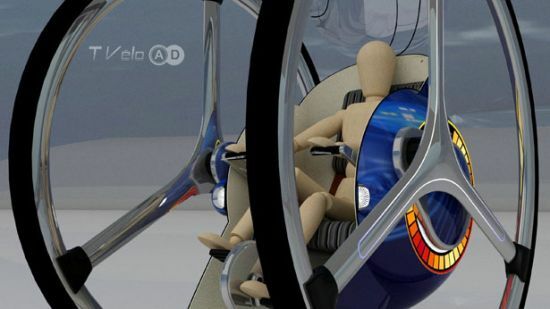 Combining a bicycle and car into a single vehicle, the vehicle concept features high-end technology to offer a clean and reliable transportation solution for urban areas. 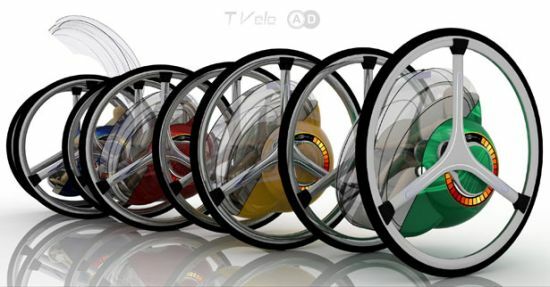 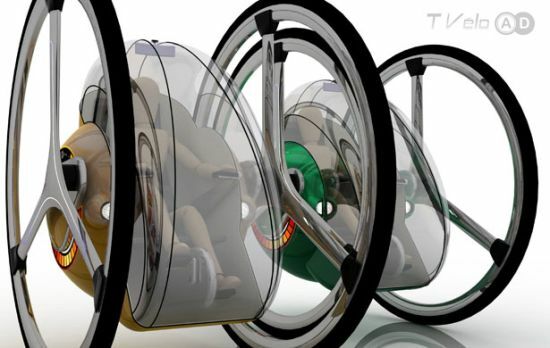 The T-Velo not only offers green transportation but also moves commuters in utmost comfort. 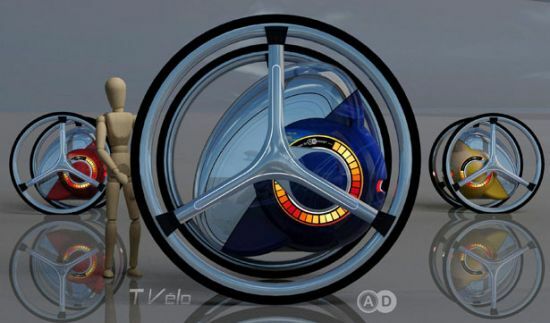 Employing the mechanism of independent brakes, used in tracked tanks, to control the speed of each wheel separately and, the pedal-powered vehicle also allows inverting traction in opposite ways to rotate it at a 360 degree angle. 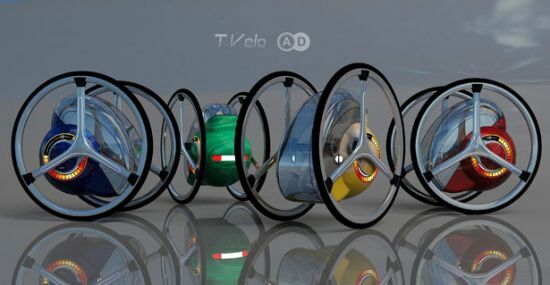 Perfect for cramped urban roads, the T-Velo turns into a recreational amphibious vehicle with paddles, attached to wheels, which you can release or lock according to the requirement.